A naturalistic wonder rewarded by FAI with the appellative of “Park” including it among its own sites. Today the Park of the Villa Gregoriana holds a rich naturalistic, historical and archaeological heritage in a highly evocative setting. 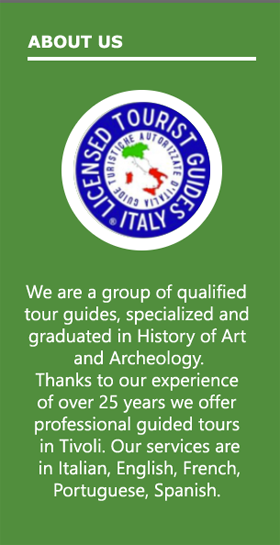 Our guided tours to Villa Gregoriana include the narration of the history of Tivoli and the mythology of Tiburtina. The approximate duration is 2 hours, prices start from 150.00 euros up to 20 people. The guided tours of Villa Gregoriana in Tivoli are a journey into a site of high naturalistic and archaeological value at the same time. A heritage that was built in the nineteenth century by Pope Gregory’s XVI. 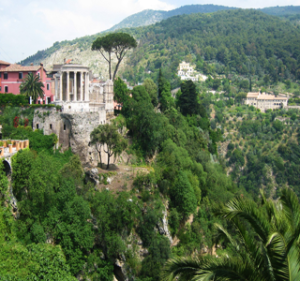 The area is that of the river Aniene and the reasons that led the Pope in building this impressive villa were defensive: the Park of Villa Gregoriana stands on two sides of a deep ditch with a breathtaking view of Tivoli landscape that shows its waterfalls, forests and caverns. Villa Gregoriana takes part in the triptych of the most famous Tivoli villas all over the world: the other two are Villa d’Este and Hadrian’s Villa, a Renaissance masterpiece the former, Hadrian’s Emperor residence in Roman times the latter. Just like the other two villas of Tivoli, Villa Gregoriana is a faithful testimony of splendor of the past; a constant research of magnificence and architectural beauty. The Villa is a symbol of the Romantic culture and in the past, it was really appreciated as a destination for the Grand Tour artists who departed from every part of the world and went around Europe in search of places of great artistic and cultural interest so as to enrich their luggage of knowledge. Villa Gregoriana rises in a deep valley that takes the name of Valle dell’Inferno with the suggestive background of a beautiful waterfall. 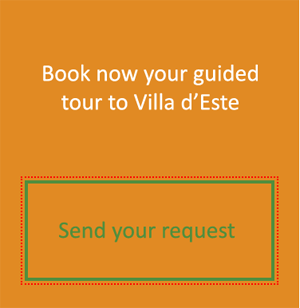 The itinerary of the tour of Villa Gregoriana also includes the cave of Neptune and that of the Sirens; the Acropolis; the temples of Sibilla and Vesta. A walk in contact with history and nature, immersed in a highly evocative architectural context characterized by “woods, waterfalls, cliffs, paths, ancient ruins, and natural caves, a river swallowed up by the bowels of the earth” as FAI described it.